Show Report: Paradigm - Sony. Paradigm showed the top model in their new Persona series, the 9H. 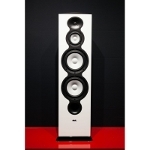 This is a large floorstanding loudspeaker with an active bass section (featuring four 8.5-inch woofers) which is supported by Anthem's ARC room correction algorithm. As all the loudspeakers of the series, 9H uses beryllium-based tweeter and midrange drivers. The price is close to $35,000. 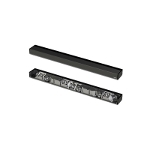 Paradigm also exhibited the PW soundbar, which is designed for use with large screen TVs (from 55 inches and above). 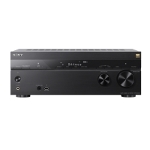 Its HDMI 2.0a input can pass-through 4K/60p signals and there is support for wireless connectivity through DTS' PLay-Fi. Piega presented their new Coax loudspeakers a series, which includes three models and is based on coaxial mid/high-frequency ribbon unit, developed by the company itself. 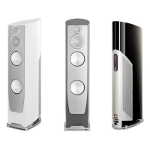 The new series includes four models, one stand-mounting, two floorstanders and a center loudspeaker. 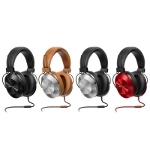 Pioneer showed, among other products the SE-MS5T over-ear headphones, featuring 40 mm diaphragms. The headphones can be used in combination with a mobile phone since they include a built-in microphone and a controller on their cable. Essential III from Pro-Ject Audio is a clear effort to lead the field of entry level turntable decks. An evolution of Essential II, offers better finish (available in three colors), acrylic platter, better ground path, an upgraded main bearing and motor pulley and better control electronics. 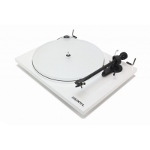 The price, now, includes and Ortofon OM 10. 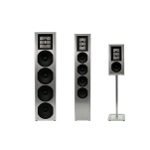 Revel presented the prototype of a loudspeaker in the Performa3 Be series. According to the information published, its name is F208Be and is a three-way floorstanding design, featuring a beryllium tweeter dome, a 130mm midrange, and two 200mm woofers. Upper-frequency response limit is 40kHz. A stand-mounted model, the M106Be with a similar approach (but with smaller woofers) is, also, expected. 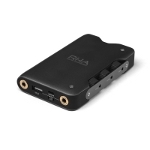 RHA's Dacamp L1 is a compact in size and portable DAC/Headphone amplifier based on an ES9018K2M from ESS. The DAC supports streaming of files up to 32/384 (PCM) and DSD256 (DSD). Besides the USB port, there is an analog input too (TRS 3.5mm). A tone control circuit is, also, included. 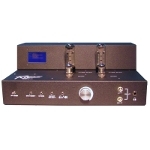 Rogers' 65V-1 uses either EL34 or KT88 auto-biased tubes in Triode or Ultralinear mode of operation but what is particularly interesting is its wireless control feature through an iOS app, via a Bluetooth wireless connection. Through this, the user has access to all the amp's functions and -additionally- he can monitor the output level in real time. Rogue Audio introduced a new headphone amplifier, the RH-5. 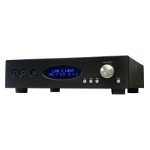 The amp features a 12AU7 and a MOSFET stage, offers four inputs (one of them balanced) and can be upgraded with an optional phono module. Headphones can be connected via two 6.4mm TRS and one XLR (3/4 pin) output. Samsung made some audio "noise" this year, advertising the UHQ technology, which, basically is an upsampling algorithm to 32bit, and the "Distortion Canceling", a servo-control algorithm for woofers. 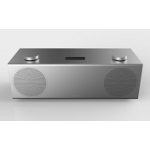 Both are used in the H7 wireless loudspeaker which, according to the company, can come down to 35Hz. 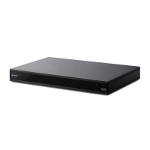 … and in the M9500 UHD Blu-ray player, a device compatible with HDR, DTS: X and Dolby Atmos, featuring increased connectivity for viewing movies and photos through portable devices. 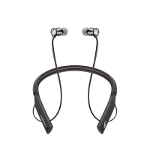 The user can also connect wireless headphones through Bluetooth. 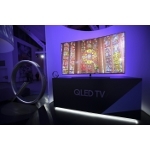 Samsung unveiled a new range of TV-sets based on QLED technology (a technology based on quantum dots), with three models, the Q7, Q8 and Q9 (photo). The company says that this technology offers much better color quality and better blacks, regardless of the brightness of the scene or the room light conditions. 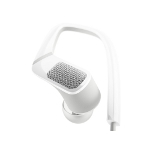 As part of the products that support the Ambeo technology, Sennheiser presented an in-ear headphone system which -by using embedded microphones- can make a kind of 3D binaural recording, to resemble the traditional torso/dummy head technique. Sennheiser also presented the in-ear HD1, a system that includes, besides the headphones themselves, a control unit which the user places around his neck. 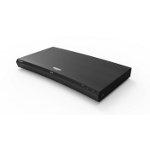 This includes circuits for the wireless connection (Bluetooth 4.1/aptX), a microphone and basic function controls. Finally, for the discerning listeners who want a better isolation, Sennheiser presented two wireless versions of the HD4, the HD4.50BTNC (Bluetooth/Noise Canceling) and HD4.40VT (Bluetooth). 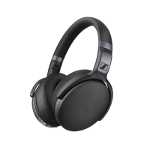 Both versions support Bluetooth 4.0/aptX and connect via NFC, with the "50" featuring active noise suppression. 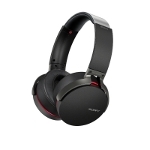 Battery life is about 25 hours (18, if the noise canceling on 4.50 is activated). 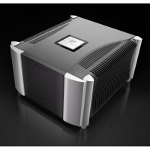 Simaudio presented their top-of-the-range power amplifier the Moon 888. This is a massive monoblock, featuring an aluminum chassis (used also as a heat sink), and an 8kW power supply with 350.000uF total filter capacity which delivers 888W. Expected this summer with a price close to $120,000 (for two channels). Sony showed their first 4K OLED TV. 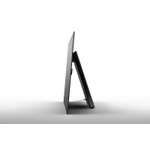 The A1 uses an extremely thin panel, supports Dolby Vision and features the X1 Extreme video processor. The set uses the screen to emit sound through a technology called "Acoustic Surface". It is available in 65 and 77 inches. 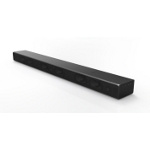 The company also displayed the HT-MT500, a compact size soundbar with emphasis on sound quality, featuring hi-resolution material playback and an upsampler. 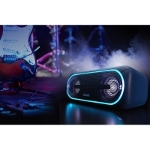 The subwoofer is connected wirelessly and wireless Bluetooth/NFC connections are supported. 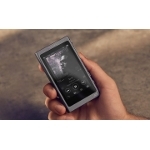 … and the relatively new NW-A35 Walkman, a device compatible with all popular file formats (including FLAC and Apple Lossless). Internal storage capacity is 16GB and can be expanded using SD cards up to 128GB. User interface features a 3.1-inch screen and an FM tuner is, also, included. The connection can be either wired (through a TRS 3.5mm jack) or wireless (Bluetooth 4.2/NFC). 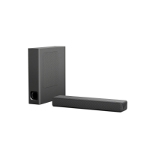 For party lovers, Sony presented four models of wireless speakers in the Extra Bass series. Three of them offer visual effects through an illuminated strip on the perimeter and two additional light sources (including on capable of strobe effects). 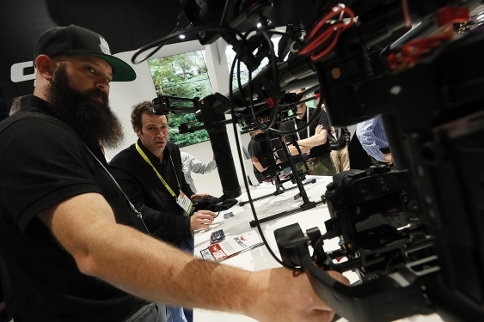 To top model SRS-XB40 (photo) can be fully controlled through an app.